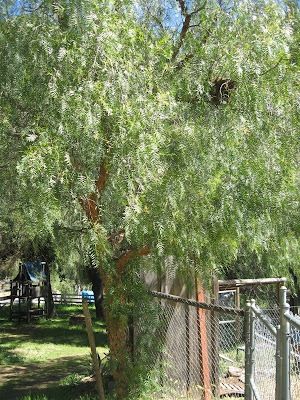 So, I was tooling around getting ready to feed the emus at about 10:30 AM on Saturday when I heard an unusual amount of buzzing overhead. 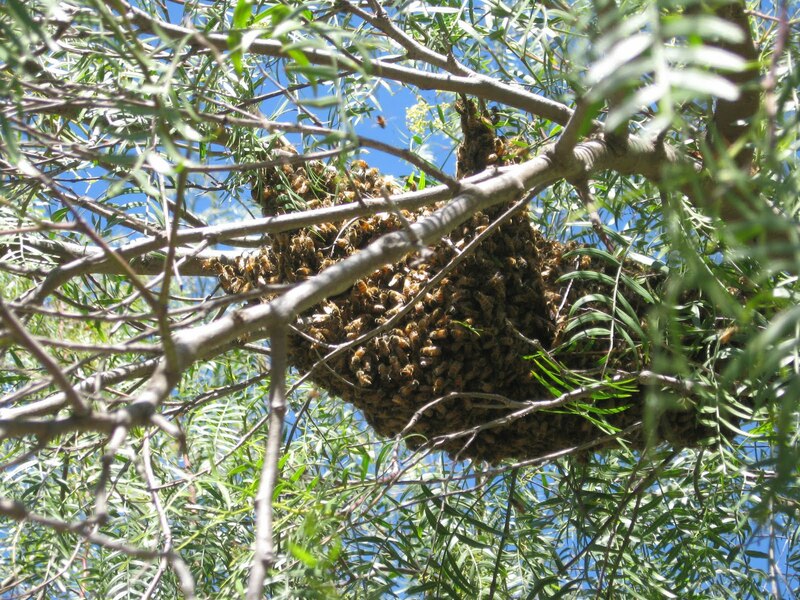 Turns out that a swarm must have issued from one of my own hives, and they'd taken up residence in a pepper tree immediately outside the beeyard. Can you spot 'em? 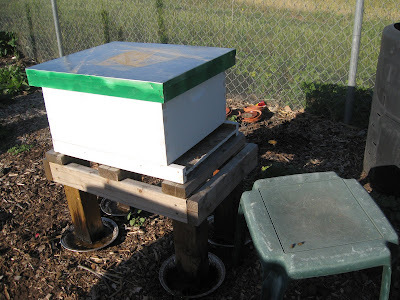 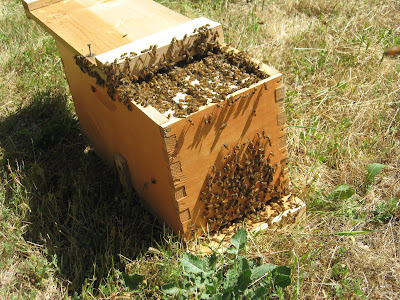 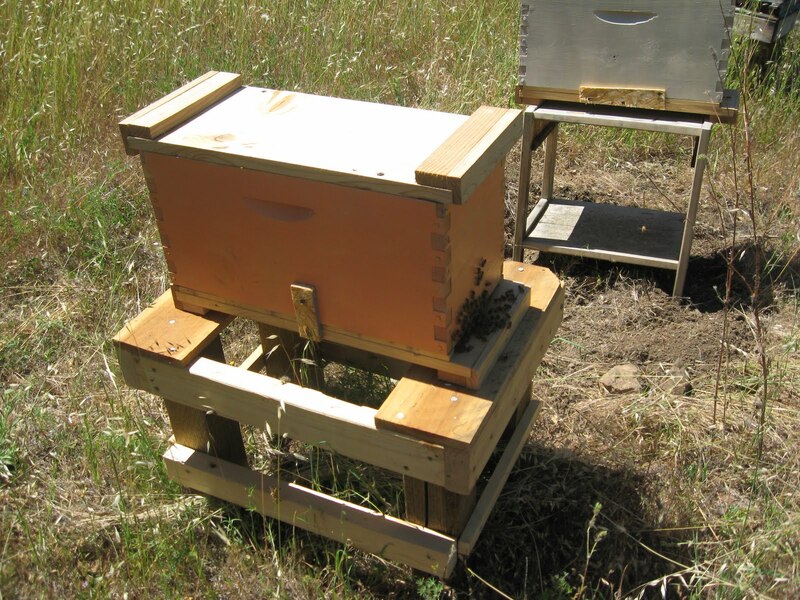 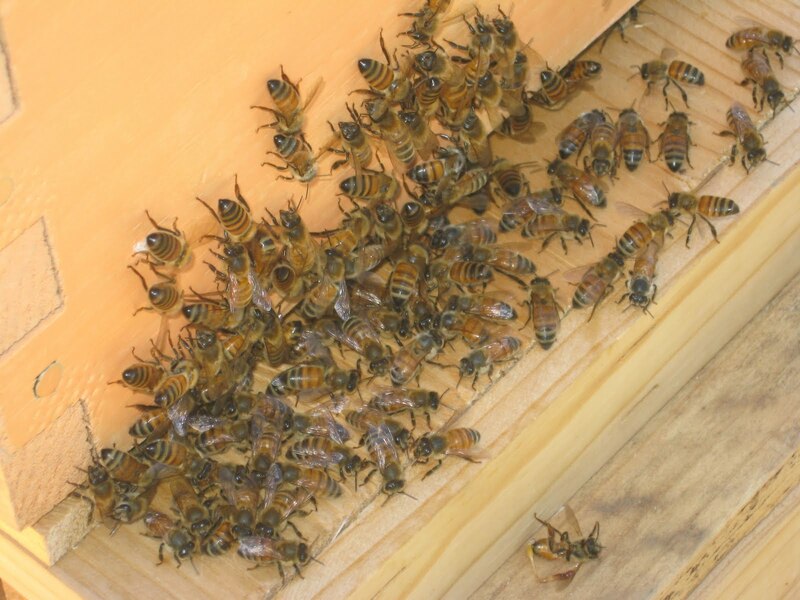 I grabbed a ladder, a cardboard box, and a nuc (smaller, five-frame hive) plus five frames of new foundation. 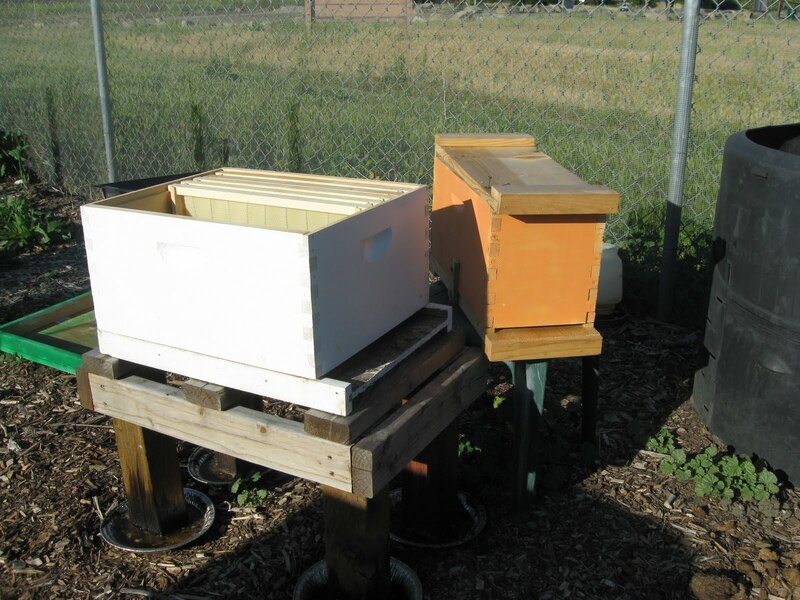 I keep supplies like this on hand, as Foghorn Leghorn used to say, "For just such an emergency." 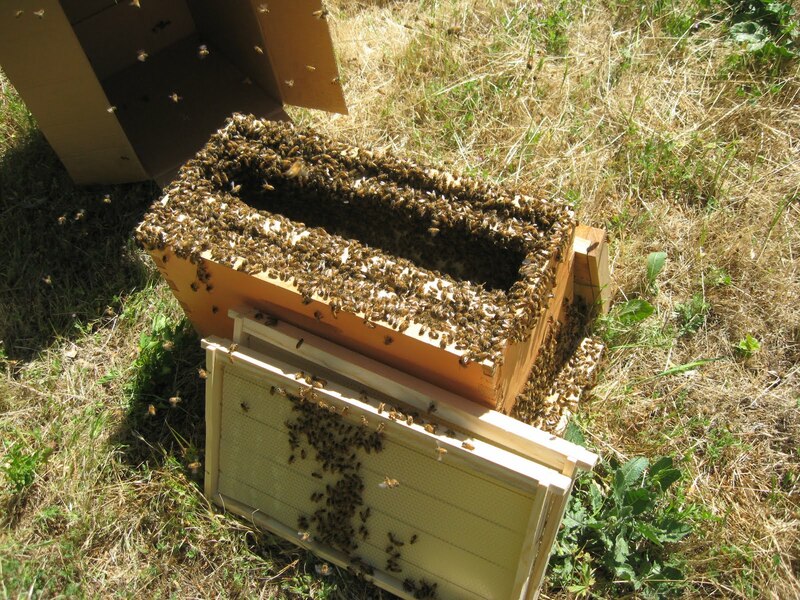 Anyway, climbed up, held the box under the ball o' bees, and shook. Most of them dropped in a glump down into the box, and I immediately shook them into the nuc. 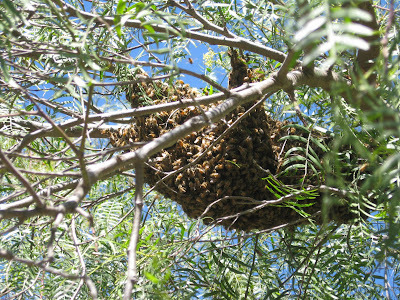 There were a lot of them!